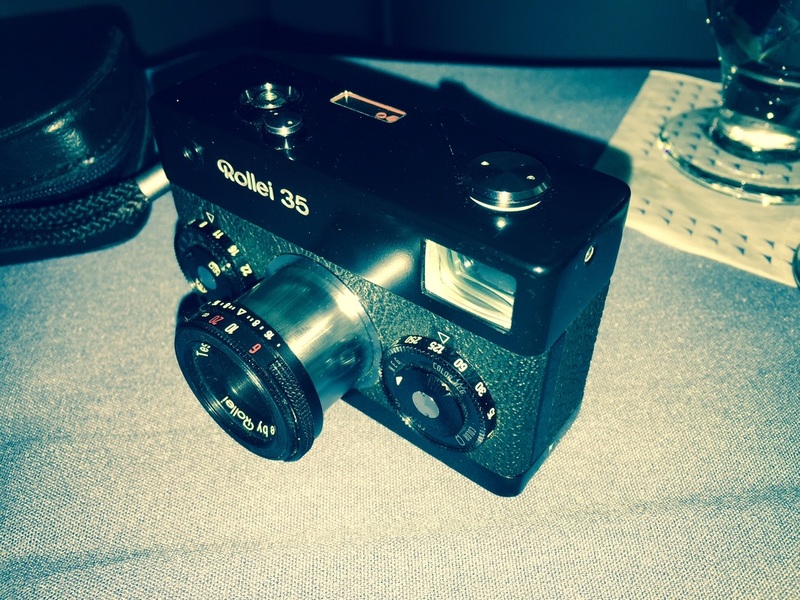 ​Everyone who is interested in film photography has seen or heard of the Rollei 35. 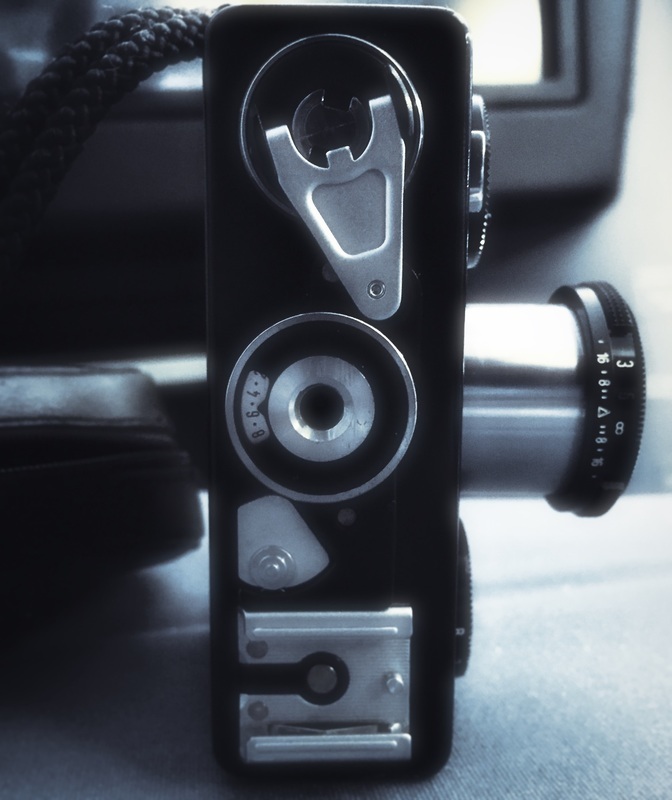 This is one of, if not the most, compact, full featured 35mm camera. Only the Germans could have come up with this little engineering gem. Each working function is carefully placed to conserve space while keeping functionality. From the from the camera has three symmetrical circles. The large one in the center is an amazing Tessar 40mm f/3.5 lens. It is tack sharp and collapses into the body to make this camera a true pocket camera. 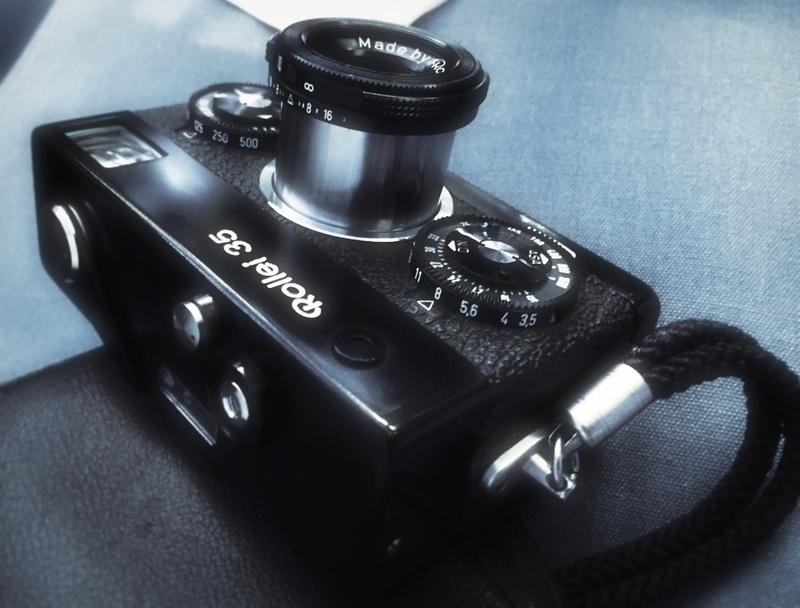 The lens carries the focusing dial which is set according to distance as the this camera does not have a rangefinder. The scale on the top is in feet and on bottom in meters but more on how to use this later on as there are some neat tricks worth discussing. A dial sitting to the right of the lens is the aperture wheel with seeing a from 3.5 to f/22. There is a little lock you have to press in order to move the dial avoiding accidental changes. On the top of the dial is the ISO setting for the light meter which goes from ISO 25 to 1600. The dial to the left controls the shutter speed from 1/2 sec through 1/500th and a BULB mode. These click reassuringly in place. On the top of this dial is a film type reminder which has no impact on the camera functionality. Simply used to remind you if you the kind of film you are using. ​The viewfinder is nice and large but only useful to frame the shot properly. The light meter is a simple needle which can be seen from the top of the camera. The meter is always on. The frame counter is on the bottom of the camera so a quick flip and you can see how many images you have left. The rewind leaver is also located on the bottom of the camera. This is a well built camera. It is heavy, in a solid, German Engineering way. The buttons are crisp and lock into place easily. The clear viewfinder is a joy to use and the frame lines are clear. The lens is absolutely tack sharp so long as you can get the focus on. It is the best travel camera you can use, as it is the size of a modern day point and shoot while hiding all the brilliant glory of 35mm film. Two and only two things annoy me about this camera. First is that I have to pull my eye away from the view finder to see the light meter. I would prefer to see it through the viewfinder. This issue is mitigated by the fact that I would still have to move the camera from my eye to set the shutter speed and aperture. The second is that the battery is a 1.3volt Mercury cell which is no longer made. You can have the camera modified but this is a bit expensive. You can buy special batteries but again it is expensive and they last a few months at best. I opted to buy a battery casing which drops the voltage from 1.5 to 1.3. This is also expensive costing me 50% of what I paid for the camera but I can use it on other cameras. The other issue (yes I know I said two issues but this is related with the second one) is that you cannot change the battery which there is film in the camera. The battery compartment is behind the film. So if you run out of power, no light meter for the rest of the roll. If the battery contact is lose this poses an obvious issue. I believe human brains are rather simple so I prefer to reduce my options a bit. This simplifies operation and allows me to enjoy the process instead of doing countless calculations for each decision. The focus options on this camera is from a minimum of 3ft (arms length) to infinity. In order to simplify the process I have selected four focus points with two being obvious, The first is 3 ft which is perfect for portraits and is achieved by moving the dial all the way in one direction, Another focus point is infinity which is all the way to the other side. If something is more than 20 ft (roughly 4 times the length of a person laying down) then I pushy the dial all the way in the other direction. See easy. Here is the tricky part...if something is more than 3 feet way but still within speaking distance I set it to 5 ft. If the subject is more than speaking distance but less than infinity I put it between 10-15 feet. 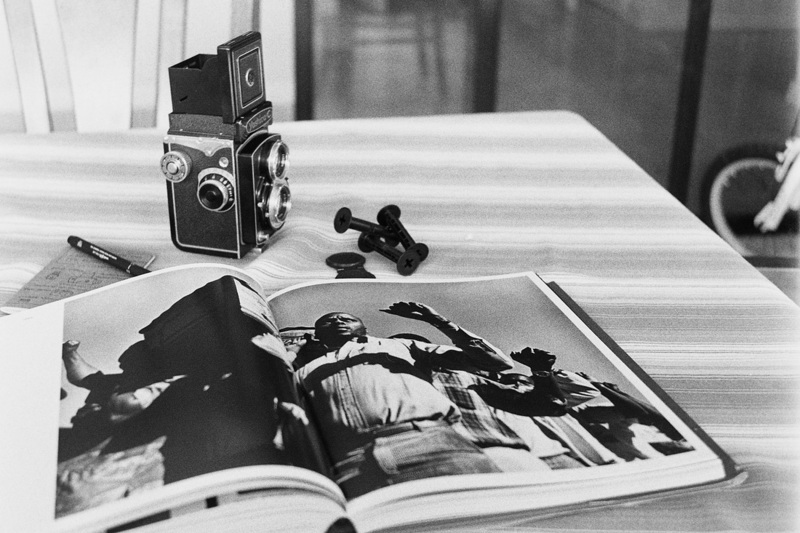 With fast film you can stop the camera down and anything in f/8 or smaller will help ensure all is in focus. How does this system work? I have not missed focus yet. Simplify your selection, miss the occasional shot but increase your enjoyment! This camera is almost perfect. It is a joy to use and so easy to shove into my pocket on a trip that I am carrying it around almost always. I have added a few sample images I have taken with it. 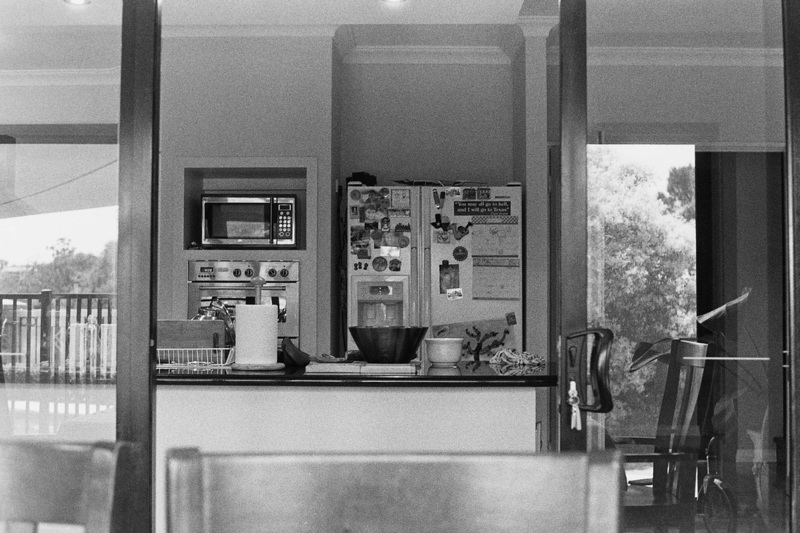 With over 10 rolls of film through it I have only missed focus 5 or 6 times mostly from the first few rolls. 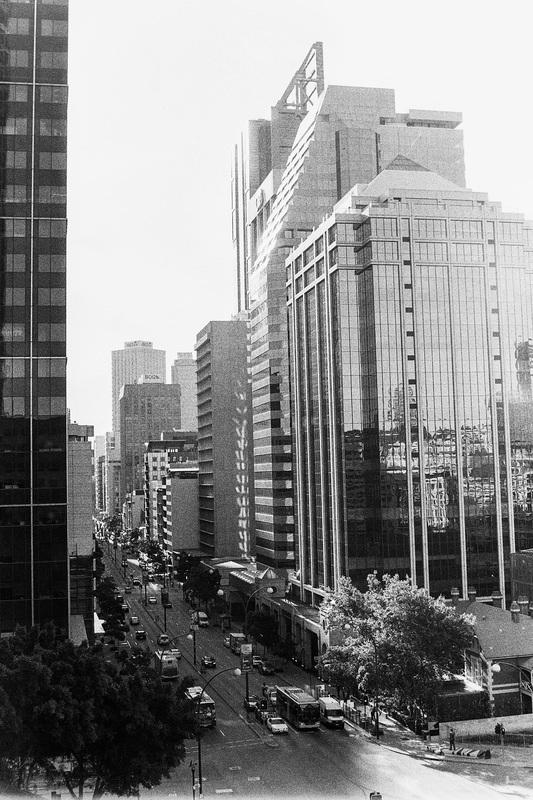 All sample images are shot on Ilford HP5+ at 400ISO developed in rodinal Stand Development (as explained in a blog post). 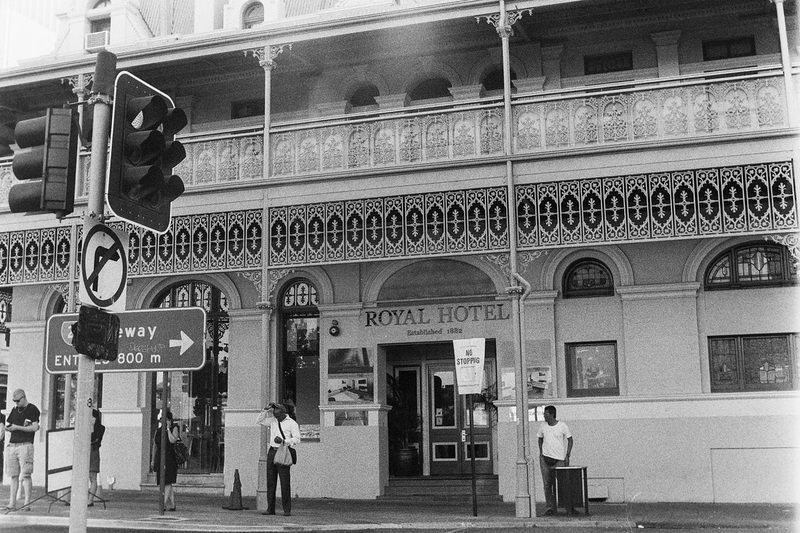 The Rollei 35 is not a cheap camera purchase. Like any German designed instrument it commands a proud price even in todays digital world. I purchased mine for about USD 160 and then made the investment in the battery casing so as to fix the voltage mismatch. I look at the images I have taken with this little gem and I am thrilled I made the investment. It is not your typical "buy for fun and see what happens" kind of purchase but one that is well worth the investment if you are looking to buy a carry around camera for those special moments. I would not recommend this as your first film camera purchase or even your only camera purchase. Its limitations are fun provided you can pick up another camera without them every now and then.